My girlfriend and I have been travelling Vietnam for 3 weeks, staying mainly in hostels in the cities. We decided to treat ourselves and booked 1 night at the Beach Bar. We ended up staying for 4. We booked a dorm room that we ended up having to ourselves for the duration of our stay. Room was clean and they arranged a double bed for us. The room was located a stones throw away from the beach (which we pretty much had to ourselves) and could hear the ocean as we were going to sleep. The staff are lovely and couldn't do more for you. Food is a reasonable price but the menu is pretty limited so we found ourselves having the same meals most days, (not that we cared as the quality is fantastic) would highly recommend the pork and shrimps. The bar area is lovely, Your feet in the sand with an array of seating areas from arm chairs, sofas and a hammock. Will be telling anyone who visits Hue to stay here or even take a short taxi ride and spend the day by the sea. It’s about 15k from town, an approx $10 cab ride, and absolutely worth it. Right on the beach, it screams, or rather, whispers, “take a load off”, as soon as you enter and sand squeaks underfoot. Shoes – no longer required! Their plantation-shuttered, breezy, lovely, bungalows – two to a block – have ensuite open-air bathrooms; and fat, plumped-pillow covered beds, made in white linen and swathed in mosquito nets. Walls separating the rooms don’t reach all the way to the roof though, so if it’s loved-up you plan to get, for more secure sound, you might want to request a stand-alone option. On the beach (which can be a bit woolly, depending on the season), in front of the sandy-floored dining/bar area (close enough for quick service): cushioned beach chairs, in pairs – or lounges for groups – are under private and well-separated bandas. Note though, the Beach Bar does allow a paid day-only entry for tourists from town, so if you’re really unlucky you might end up having your quiet reverie crashed by a rowdy, drinking crowd who aren’t actually in accommodations. Staff are all friendly and fabulous and the food is good, if not a little slow at times. There’s not much else around, so staying here might feel a little isolated if you’re solo. But if it’s down-time, and endless days of doing nothing you’re after, you’ve totally scored. It really does feel like paradise lost; found. This place was absolute paradise. We rented the terrace house and it was perfection - a minute to walk to the most beautiful private beach! We stayed two nights and even though we had average weather, we wished we could have stayed longer. Lots of fun stuff to do - take the bikes around the gorgeous property, play volleyball or badminton, two pools... The staff were incredibly sweet and helpful - they even took me to and from the doctor when I fell ill (unrelated) and made me special soup. Angels! Go here! 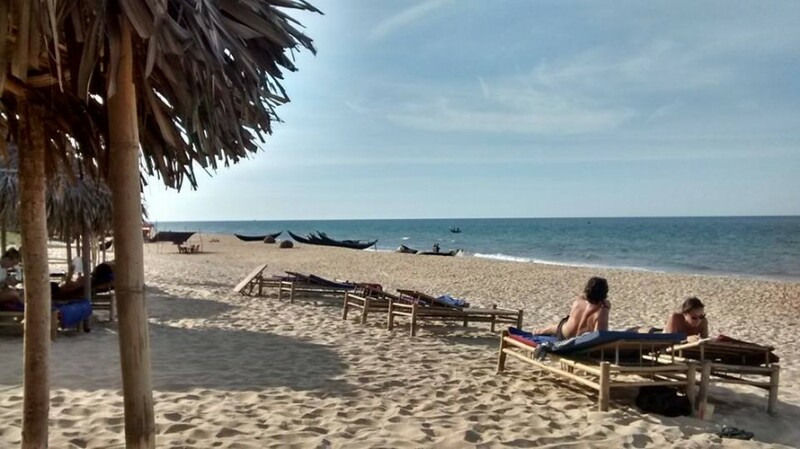 If you are looking for somewhere to chillout on the beach in Vietnam then Beach Bar Hue is the place to be. 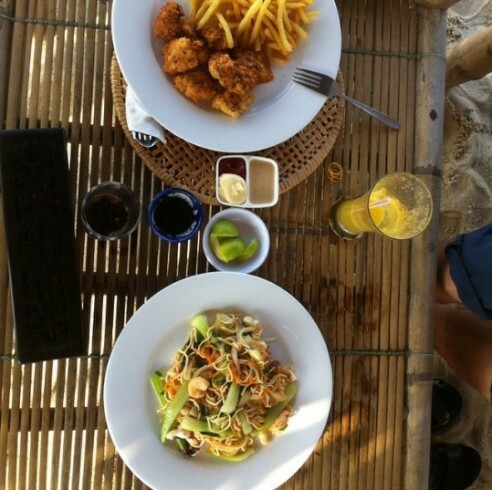 Great food, friendly staff, beautiful beach and sunsets.